When a patient falls within a healthcare environment, the actions of the staff members can be critical. They can make the difference between life and death, between the patient getting a prompt evaluation for injuries or a delay in treatment, and between normal function and paralysis. Consider this situation: Certified Nurse Aide Juanita knows that the patient’s care plan specifies that two people are needed to use a Hoyer (hydraulic) lift to move Muriel West, the patient. Juanita thinks she can move the patient by herself. The patient slides out of the sling attached the lift and lands on her head on the floor. Juanita runs out of the room and implores another aide to help her Muriel off the floor and into bed. They agree to keep quiet about what happened; Juanita is afraid she will lose her job. By the next morning, Muriel is not responding to attempts to wake her up. 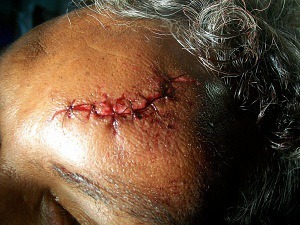 The nurse sees a large bruise on the patient’s forehead and calls the physician. Muriel’s CT scan completed in the emergency department shows she has a large subdural hematoma which is shifting her brain tissue to one side. It is too late to intervene. Although this is a fictitious example, I have seen many cases like this involving a cover-up of an injury that resulted in worse medical consequences for the patient than if a prompt evaluation had taken place. Here’s what should be done by a nurse in the assessment of a patient who has fallen, hit her head or had an unwitnessed fall. The first priority is to make sure the patient has a pulse and is breathing. Next, the caregiver should call for help. Then the providers should assess the patient’s ability to move her arms and legs. The risk of a spinal cord compression from a back or neck injury has to be ruled out before the patient can be moved. If there are signs of injury, the cervical spine has to be immobilized. The patient’s Glasgow Coma Scale should be checked – the ability to open her eyes, respond verbally and use her muscles is rated on a scale from 3 at the lowest point to 15 (normal). 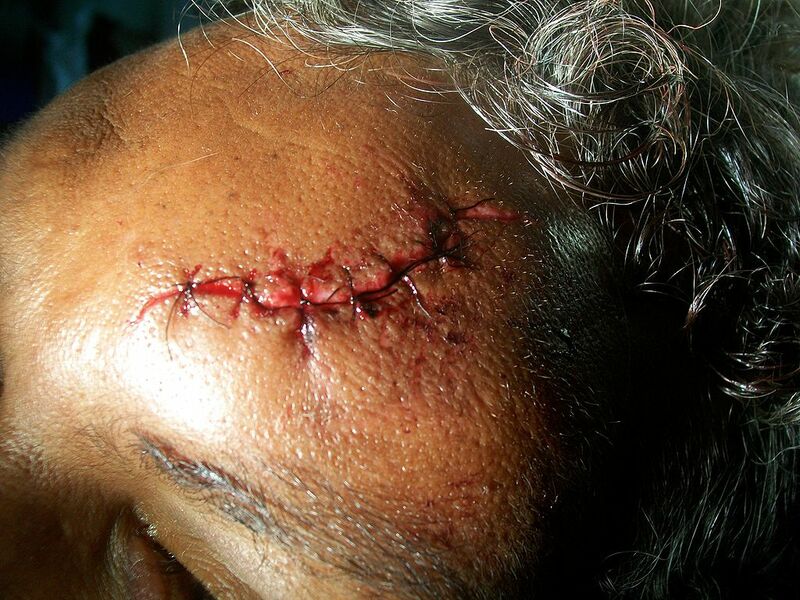 The nurse provides first aid to any lacerations by cleaning and covering them with dressings. The next phase of assessment begins: getting vital signs, arranging for a medical evaluation, and scheduling any further tests such as x-rays, CT scans, and other tests. The nurse should watch for signs of deterioration: a headache, change in the level of consciousness, amnesia, vomiting, or weakness. Vital signs and neurological observations should be performed hourly for 4 hours and then every 4 hours for 24 hours, then as required. The attending physician should be notified immediately if there is any change in observations. The last part of the post-fall assessment is to review the plan of care and to add more fall prevention strategies. The biggest risk factor for another fall is a history of a prior fall. Failure to recognize signs of deterioration. For example, the staff may fail to make periodic assessments of the patient’s level of consciousness. I’ve seen cases in which the staff did not differentiate between a person who is sleeping versus one who is in a coma. Failure to recognize the risks associated with giving anticoagulation to a patient with a head injury. I’ve seen cases in which the nurse did not question whether the patient should continue to receive Coumadin or an injectable anticoagulant such as Lovenox or heparin. 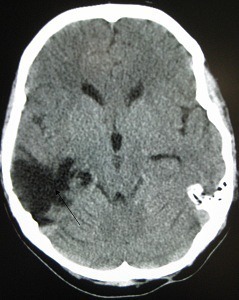 The intracranial bleed was much worse because of the anticoagulation. Failure to change the plan of care. I’ve seen cases in which the nurses did not change the care interventions, and the patient had multiple falls. Post fall assessment is crucial. The medical record, deposition testimony, incident reports and internal investigations should paint the picture of what happened.